Our contemporary, culturally-fair, data-driven assessment tools are grounded based on the latest advances in psychological research and behavioural science. Proven to be predictive of high performance, future potential and employee engagement at the workplace, our tools can be deployed across the career lifecycle. We work with clients across the world of their most pressing recruitment, talent management, leadership development and succession planning priorities. Based on over a decade of research in positive psychology and the science of strengths, our flagship assessment, the Thriving Index® assesses individual strengths, potential blindspots and work motivators. The Thriving Index® is uniquely positioned as one of the only workplace based strengths assessments in the world, available in multiple languages, with global norms and proven validation studies. 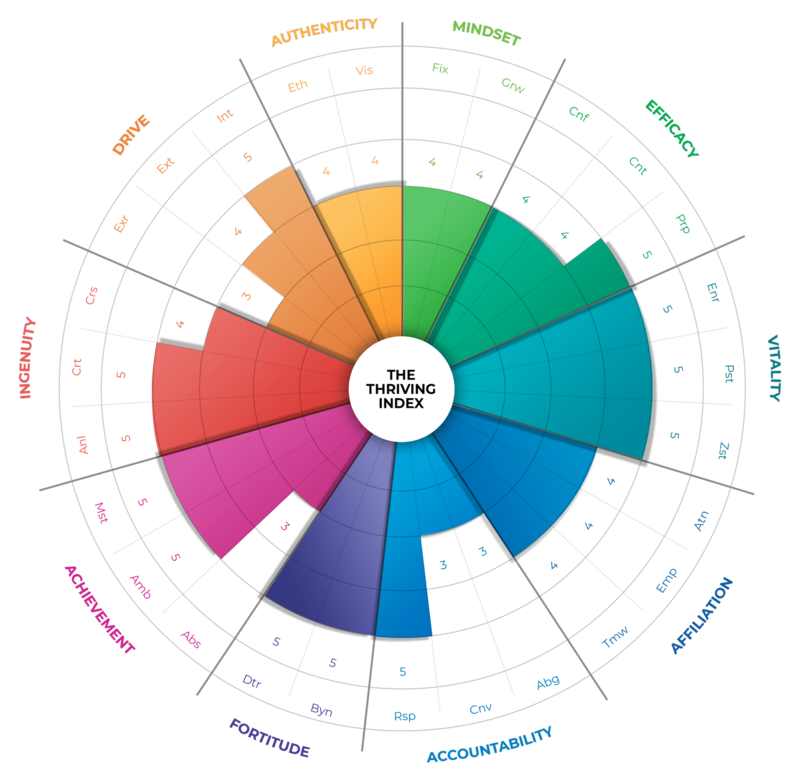 Assessing critical 21st century strengths, the Thriving Index® measures 10 factors and 27 sub-factors such as grit, resilience, growth mindset, self-efficacy, accountability and optimism. Our proprietary Discovery Centres™ use a variety of bias-free assessment techniques to help select the best candidates, while strengthening your employer brand and assessing organisational fit. Our Learning Centres™ provide an immersive assessment experience, along with real-time, on-going coaching and feedback for participants. Assessing ‘learning agility’ and identifying ‘talent risk’ are core to our approach. Our top team assessment approach is designed to assess their senior-most executive leadership within an organisation, evaluating their leadership capability, effectiveness, strengths and blindspots.